The annual Maryland House & Garden Pilgrimage (MHGP) returns this spring over five weekends from Saturday, April 20, through Saturday, May 18. A Maryland tradition for 76 years, the Pilgrimage offers visitors the opportunity to explore some of Maryland’s most fascinating and noteworthy properties. 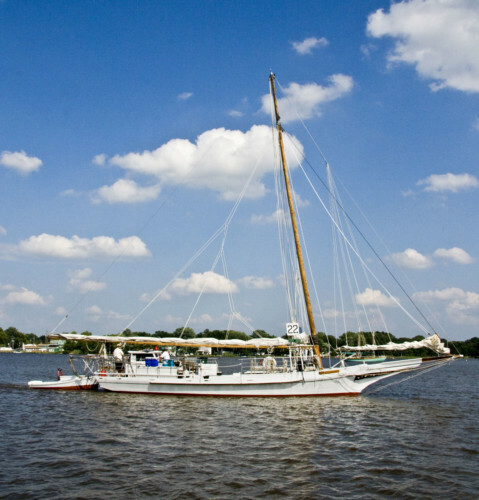 The 2013 tour includes about 50 private homes, gardens, farms, churches and historic sites, including a docked Skipjack, across six areas in Maryland. They are Anne Arundel County-Annapolis: Wardour (Saturday, April 20); Queen Anne’s County (Saturday, April 27); Baltimore City: Guilford (Sunday, April 28); Somerset and Worcester Counties (Saturday, May 4) and Charles County (Saturday, May 18). Each tour is $30 when purchased in advance. Lunches will be available on all tours. Tickets and information at mhgp.org or 410-821-6933. The annual spring tours are a central component of the MHGP’s efforts to cultivate awareness of Maryland’s rich architectural and cultural heritage, from historic to contemporary settings. Each year, proceeds from the tour support designated preservation projects in each host community. To date, the Pilgrimage has raised well over $1 million dollars for the preservation and restoration of architecturally significant properties throughout the State of Maryland while entertaining and informing many thousands of tour-goers. The Wardour community in West Annapolis offers a walking tour of nine breathtaking properties, including the waterfront home of the president of St. John’s College with its superb art collection. Other stops on the tour include the grand Kent Road home built in 1911 by the architect of the Naval Academy’s Bancroft Hall, the largest college dorm in the world. Frederick Law Olmsted Jr. designed the neighborhood in the early 20th century. He also designed the grounds for the White House, the Jefferson Memorial and the National Cathedral. The community of Wardour overlooking the Severn River was named for Wardour Castle, birthplace of Ann Arundell, wife of Cecil Calvert, second Lord Baltimore by Elisabeth Giddings. She, along with her sister Katherine Giddings Aldridge, inherited the 225 acres that comprise West Annapolis and Wardour from their father in 1884. The Giddings sisters initially contracted George T. Melvin, who was designing the Murray Hill subdivision in Annapolis, to develop the Wardour property. His plan for small rectangular lots fit the topography of adjacent West Annapolis – a former farm and one of Maryland’s early land patents. However the stately woods and rolling terrain of the Wardour property inspired a different approach. In 1907, Miss Giddings wrote to Frederick Law Olmsted, Jr. in Brookline, Massachusetts. With its high bluffs, striking views of the Severn River, undulating topography, and mature trees, the property lent itself well to the Olmsted design philosophy. The neighborhood-centered plan with a curvilinear street pattern fitted to the natural contours of the land, irregular lots, interior traffic gardens, and a community-owned open space system were all concepts pioneered by the Olmsted firm and well-demonstrated in their plan for Wardour. 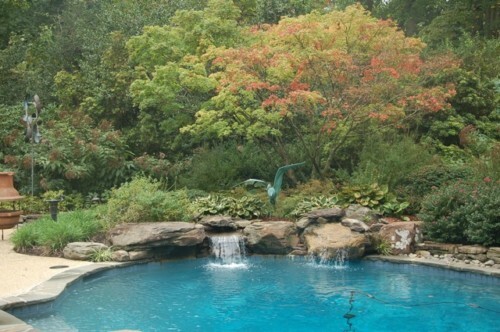 The designers responded to one of Miss Giddings’s chief concerns, the preservation of specimen trees on the property. 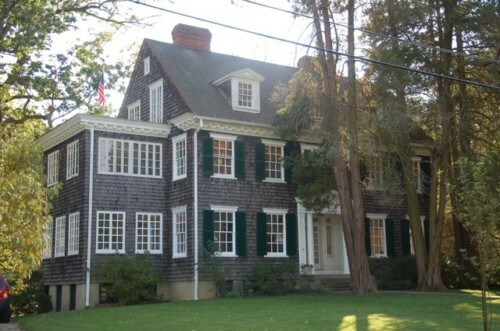 The early homes in Wardour date from the implementation of the Olmsted plan. Yet as building and rebuilding has continued over the last century, the strong bones and articulate intentions of that plan have proven their worth. As you stroll through Wardour’s leafy environs, enjoying its meandering roads and preserved open spaces, you will experience the success of the Olmsteds’ plan and the stewardship of its dedicated residents. Proceeds will benefit the Charles Carroll House and Gardens in downtown Annapolis. This remarkable urban, waterfront landscape and Georgian mansion is the birthplace of Charles Carroll of Carrollton, Signer of the Declaration of Independence. The specific project will assist with the underwriting of a Cultural Landscape Report (CLR) that will be used to guide preservation and restoration plans for Carroll’s 18th century garden that still features his original terraced garden design, seawall and boxwood dating from 1770 plantings. For more information, please visit the Maryland House & Garden Pilgimage website. For tickets, please click here.